Fredrik Meiton, a historian of the modern Middle East, teaches global history at the University of New Hampshire. 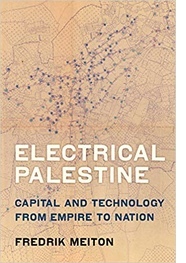 He is the author of Electrical Palestine: Capital and Technology from Empire to Nation (University of California Press, November 2018). 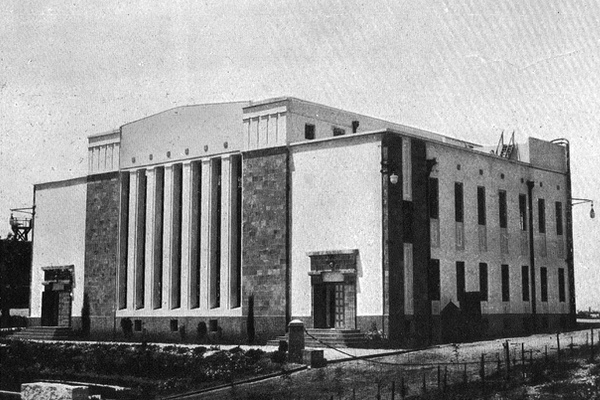 The Palestine Electric Company Ltd in the early 1920s. On Sunday, King Abdullah II of Jordan canceled an annex of the 1994 Jordanian-Israeli peace treaty that gave Israeli farmers access to fields located on Jordanian territory. In doing so, Abdallah was responding to a groundswell of anti-Israel feeling brought on by a number of recent controversies, from the violence in Gaza to the shooting last year in Amman of two Jordanian citizens by an Israeli security guard. Although the story has received extensive press coverage, including in international outlets like the New York Times and the Washington Post, the reporting so far has not offered any answer to a question that must have occurred to many readers: How, in a region known for its fraught borders, did Israeli farmers come to own and farm Jordanian land? The answer goes back to the fall of the Ottoman Empire, and reveals a story of tremendous political power hidden inside another kind of power – that of a hydroelectrical powerhouse. But where, exactly, was Palestine? That might seem like an odd question. The external borders of Israel and the occupied Palestinian territories – an area sometimes referred to as “historic Palestine” – are fairly well established (even if there is significant ambiguity with respect to internal borders): Lebanon and Syria bound it to the north, the Red Sea to the south, the Mediterranean to the west, and the Jordan River to the east. Because of the inordinate attention we pay to Palestine and Israel today, we tend to assume it’s always been what – and where – it is today. Even most scholars have taken Palestine’s borders for granted through a kind of circular reasoning: they are where they are because that’s where Palestine is. As late as 1921, however, things were not so obvious. When Britain took on the mandate for Palestine, the area had no established borders and no precedent of being governed as a single unit. And when the Great Powers got together in San Remo on the Italian Riviera to allocate Middle Eastern mandates, they were none too bothered with geography. It was vaguely assumed that borders and other details would be worked out later on. Whatever the precise borders, in 1920 British Palestine included land on both sides of the Jordan River, running through the area from north to south. But in 1921, the British decided to divide the area in two, and to make the Jordan River the boundary between them. The land west of the river would remain Palestine, while the land to the east would become an Arab kingdom. Because the land was across the Jordan River from Palestine, the British decided to name the kingdom, simply, Trans-Jordan. Abdallah bin al-Husayn, the son of a regional British ally, was installed on the throne. Today, we know the country as the Kingdom of Jordan, and the current ruler, Abdallah II, is the great grandson of Abdallah I. So far, the story is a familiar one. History is filled with tales of British colonial officials divvying up lands and installing clients. What is surprising, however, is that British colonial machinations were not what ultimately decided the borders. It was something else entirely, namely the establishment of a modern electrical system in the territory. In 1921, the new British government in Palestine contracted with the Russian-Jewish engineer Pinhas Rutenberg to build the country’s first electric grid. Rutenberg envisaged harnessing the motive force of the entire riparian system of the Jordan basin, as the water traveled down from the Anti-Lebanon range to its efflux into the Dead Sea. The power of the falling water would be channeled into a gargantuan powerhouse located south of the Sea of Galilee, just below where the Jordan intersects with another river, the Yarmuk. High-tension wires would ring the country, bringing cheap abundant power and light to every home, street, and business. To accommodate Rutenberg, the British departed from the notion that the Jordan would constitute the border between Palestine and Transjordan. A large triangle of land on the river’s eastern bank was retained for Palestine. Curiously, this triangle didn’t include the powerhouse itself, which ended up in Transjordanian territory, while the remainder of the installation – canals, dams, etc. – were located on Palestinian territory. The secret behind Rutenberg’s success was an extraordinary ability to capture the imagination of colonial officials and the international community, by making his technological project appear essential to a colonial apparatus that saw centralized, large-scale technological projects as the engines of economic development and civilizational advancement. In great technical detail, he demonstrated how his project would spur economic development, generating “moral and material” progress in Palestine while boosting global commerce. The crown jewel in Rutenberg’s projected power system was the hydroelectrical powerhouse on the Jordan, which promised to produce electricity ten times above current demand. In another time and place, this would have stoked fears of overproduction. But Rutenberg, following the training he’d received at the St Petersburg Polytechnical Institute, sold the project’s scale based on the promise of an industrialized – and therefore civilized – Palestine. Changing the border to include east bank land in Palestine soon came to be regarded as a serious blunder. Yet in typical British imperial fashion, this did not prompt any effort to rectify the situation. Instead, the British and its mandatory subjects muddled through as best they could until the situation deteriorated beyond repair. Rutenberg, the quick-footed systems entrepreneur that he was, flourished in this uncertain environment. In 1927, the cash-strapped Abdallah agreed to sell him 1,500 acres of land across the Jordan River. Rutenberg paid Abdallah twice what he’d paid on the Palestinian side, but in return the king also promised to clear the land of Arab cultivators. It proved the start of a beautiful friendship. For the rest of their lives, Abdallah and Rutenberg exchanged cards on important occasions, and the Arab ruler often summered with his family in Rutenberg’s white villa by the powerhouse. Not only was Rutenberg’s technical plan the single most important influence in determining Palestine’s borders; he had also managed what no other Jewish or Zionist body had, by buying a substantial plot of land across the Jordan River, an area that was supposed to be out of bounds of Zionist activity. As soon as the deal was finalized, Rutenberg sold part of the land to a Zionist settlement agency. “The colonists who will live in these houses,” Rutenberg promised, “will be, of course, in exceptionally good conditions, having at their disposal electricity and water as much as they like and very cheap.” For Rutenberg, this was a two-birds proposition: it established a Zionist beachhead across the Jordan and it created a protective buffer of Jewish settlements around his works. A few years later, David Ben-Gurion, the secretary general of the Zionist labor union and later Israel’s first prime minister, described the land deal as “the first breach in the artificial partition that was carried out by the mandatory government of the land into two parts.” Ben-Gurion recognized Rutenberg’s project for what it was: a tremendous political resource and a way of expanding and cementing Zionist presence in the region. Clearly, Rutenberg and his electrification vision had an outsize influence on Middle Eastern geopolitics in ways that reverberate into the present. By some measures, at least, he was the most effective operator of late British imperialism. The continued influence of his grid made it a chief force behind Zionist state building, anticipating both Jewish statehood and Palestinian statelessness. Not long after Rutenberg’s death in 1942, however, the power company’s close relations with Abdullah were overtaken by events. In the war that followed Israel’s declaration of independence in 1948, Jordan reclaimed most the territory on the eastern bank of the Jordan. The powerhouse and most of the farmland surrounding it remained in Jordan after the conclusion of an armistice the following year. But some 200 acres (820 dunams) of east bank land remained under Israeli control and continued to be farmed by Israelis. A half-century later, in 1994, Israel recognized Jordanian sovereignty over this land as part of the Jordanian-Israeli peace agreement. In exchange, Jordan granted the Israeli farmers continued access to the land. Most mornings for the past 24 years, some 150 Israeli farmers have passed through a small gate in the middle of the desert into Jordanian territory and an area named after Rutenberg’s powerhouse to grow peppers, flowers, and dates. This is the concession the king has now canceled. In the aftermath of the 1948 War, power company officials repeatedly approached Abdallah with proposals for a jointly run power system servicing both territories. Such a venture, they promised, would ensure “stable neighborly relations, economic and otherwise.” Much like Abdullah II today, however, Abdullah I was compelled by popular hostility toward Israel to reject the entreaties. This was hardly surprising given that the king’s constituency had grown in the course of the war to include hundreds of thousands of Palestinians driven out of Palestine – by force or from fear of it – ahead of advancing Israeli troops. Yet both episodes, and the history that links them, also shows that there is an undercurrent to such rejection, a codependency underwritten by great vulnerabilities, real and perceived, on both sides. Since its founding Jordan has had to rely on great power sponsors for as much as half its national revenue. The US currently contributes over $1.2 billion a year, a sum second only to the amount received by Israel. Historians have documented longstanding close cooperation between the two countries, even in wartime, and today there is extensive cooperation involving business ventures, water, and energy. Indeed, if energy infrastructure created the current conditions, then energy infrastructure may also be the real reason the old arrangement has just been terminated. Even as Abdallah is making his concession to anti-Israeli sentiment at home, work is underway to build a 40-mile natural gas pipeline that stands to make Jordan the first country to buy gas from Israel’s newly discovered Leviathan gas field. The pipeline, heavily backed by the US, will convey $10 billion worth of natural gas over the next 15 years and promises to save the recession-stricken kingdom upwards of $300 million a year. The deal is hugely unpopular domestically. The descendants of the Palestinians who arrived in Jordan as refugees after 1948 now number over 2 million. Last summer saw several protests that included members of parliament and the labor union, which has redlined any project connected with the pipeline. But if history is any guide, we know that powerlines are not inclined to respect political boundaries. More often, they make them.